Now that everyone is focussing on AI onboard a smartphone chipset, Samsung was also going to make that the highlight of its Exynos CPU for 2018. While Apple won great praise for the A11 Bionic chip in iPhone X, the company claimed it took three years to get the foundation in place. We are not sure how long Samsung has been working on the Exynos 9810 but it’s now official and also sports great AI chops. In line with Apple’s A11 Bionic, Huawei’s Kirin 970 and Qualcomm’s Snapdragon 845, Exynos 9810 boasts of neutral processing capabilities to facilitate a bridge between human and machine intelligence. Like its predecessor the Exynos 8895, Exynos 9810 is crafted using a 10-nanometer fabrication process. Apart from better processing capabilities, it flaunts improved gigabit LTE speeds with 6 Carrier Aggregation (6CA). The updated architecture facilitates four high-performance cores which can bolt up to 2.9GHz of processing frequency, while four other cores serve up optimized performance for battery efficiency. While single-core has been bumped up by 200% compared to the previous gen, Exynos 9810 drives multi-core functions towards a 40% rise. With Exynos 9810, Samsung has joined the school of neural chipsets as the latest processor introduces AI capabilities such as accurately identifying people and objects in 3D with the help of deep-learning. For this, the new SoC uses depth-sensing in what the company calls “hybrid face detection” to ensure seamless face unlocking and face-tracking filters. It also features a dedicated “security processing unit” for better security via face, iris and fingerprint authentication. The Exynos 9810 will be a key catalyst for innovation in smart platforms such as smartphones, personal computing and automotive for the coming AI era. 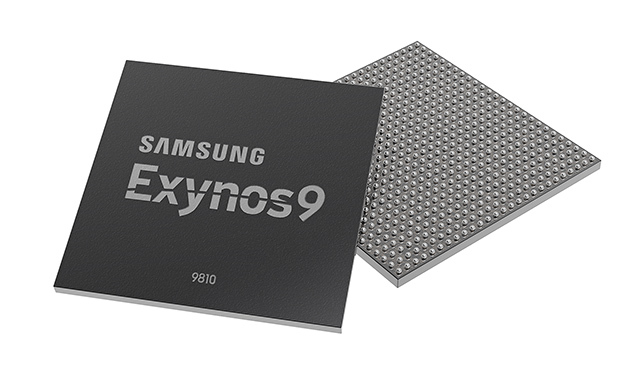 Samsung touts Exynos 9810 to be industry’s first chipset to support download speeds up to 1.2Gbps and uploads in the zone of 200Mbps which means nearly 13 percent improvement over the previous processor. It also is industry’s first to support Cat 18 LTE with 6CA (Carrier Aggregation) which allows for unifying up to 6 different component carriers for faster connectivity. This will facilitate lag-free streaming and instant uploads of even 4K and 360-degree videos. The processor supports up to 120fps 4K recording and a strikingly vibrant color reproduction. 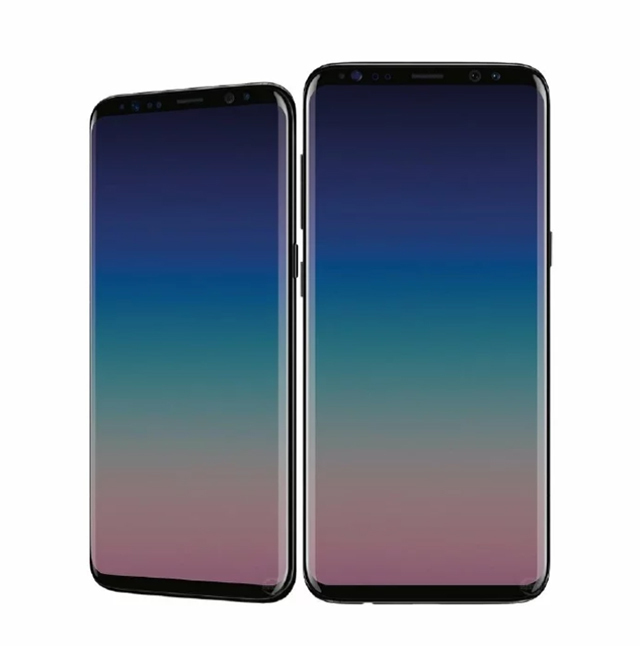 Samsung’s Exynos 9810 has been chosen for CES 2018 Innovation Awards and will be exhibited at the Las Vegas Show between January 9 and 12.